So I came up with this Simple Sine Wave circuit, powered by a single supply. 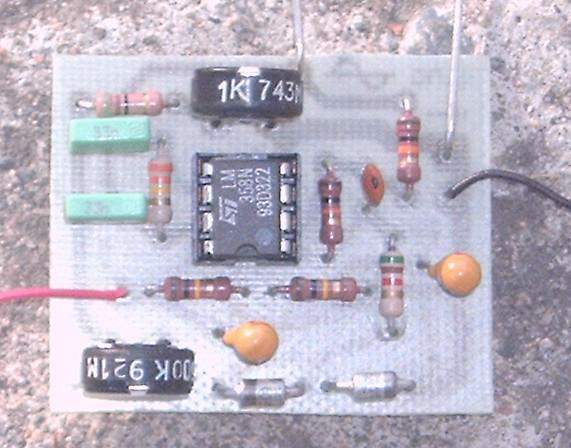 This is a modification of a circuit that was shown in a National Semiconductor Databook. determine the Actual percentage. However the waveform looks very good. Once you have built it, Set the frequency as desired using the "Frequency Control". Than using an Oscilloscope you can adjust for best waveform using the "Clip Control". Lower Frequencies can be obtained by further Increasing the values of C1 and C2. determined by the "Slew Rate" of the IC. Note: The Output is at 1/2 the Supply's Voltage. 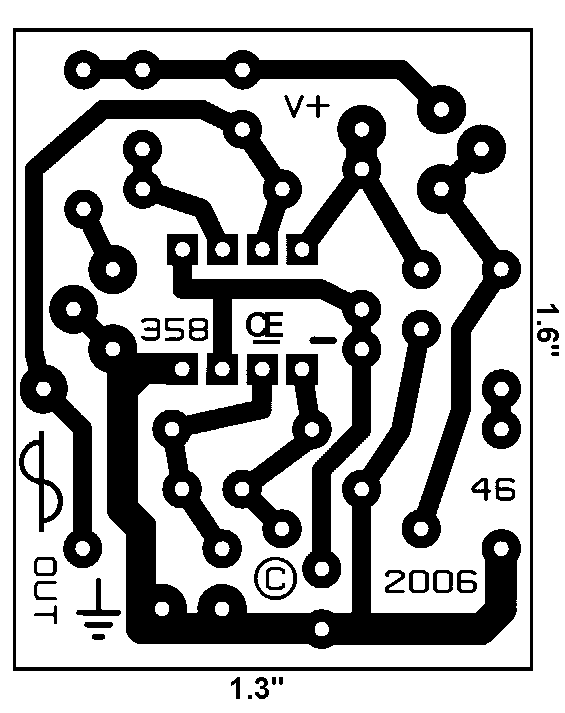 So an Output Blocking capacitor may be required when using this circuit. Square waves are useful for many things, but they are NOT Good for Speakers. eventually will quit all together! 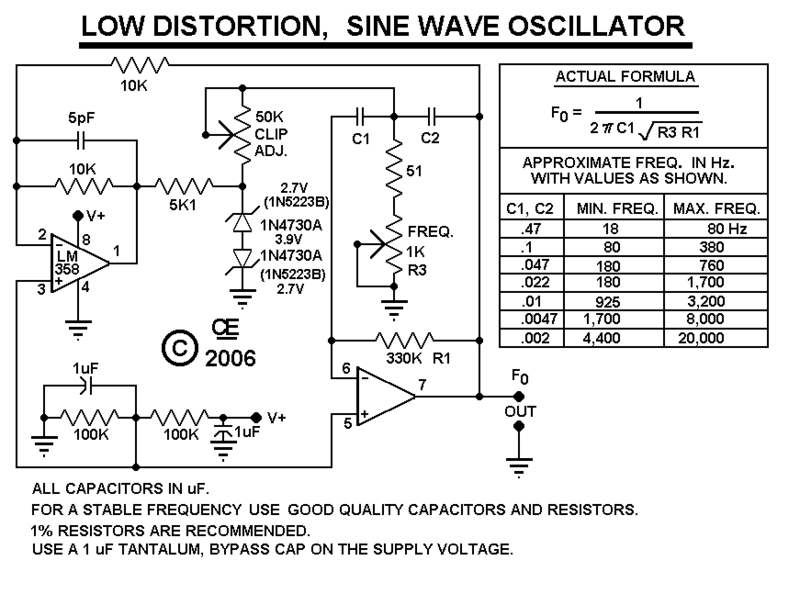 of Square Wave Distortion and Speaker Damage! so normally it isn't a problem for Home type speakers. damage these types of speakers. Here is a Picture Overlay.